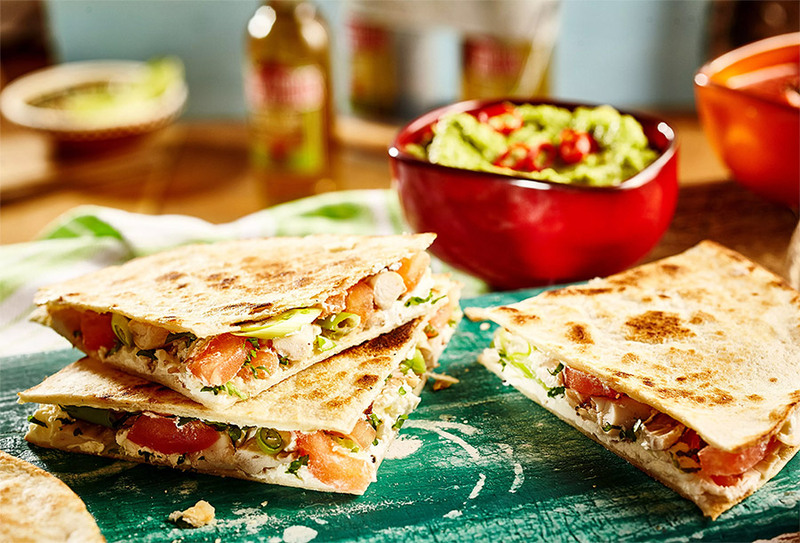 Easy and yummy Quesadillas for the whole family! Feel free to change up the stuffing for you preferences. Check out our 27L Convection, Grill & Combination Stainless Steel Microwave NN-CD58JS, featuring a convenient pre-programmed Junior Menu. Place a tortilla on the plate, place the cheese, ham and onion onto the tortilla. Check out our 27L Convection, Grill & Combination Stainless Steel Microwave NN-CD58JS, featuring a convenient pre-programmed Junior Menu: www.panasonic.com.au.